Are you currently hiring or making steps to expand your business? Finding that perfect candidate can be tough, but it doesn’t have to be. Many businesses simply lack the tools to simplify and streamline their hiring process, and find themselves looking for months. So how can you find a better and more efficient way to attract, assess, and identify top candidates for your business? Easily share your custom branded job offer on social networking sites like Facebook, LinkedIn, Twitter, and Google +, as well as their integrated partners and job boards. This helps you expand your reach, giving you a larger pool of applicants to choose from. Invite applicants to take the four-part assessment, which consists of problem solving, short answer questioning, and the 70 question IdealTraits personality assessment. The assessment is a critical step in your hiring process, as it allows you to determine if the candidate is a good fit for the position. Once an assessment has been completed, you will be immediately notified via email. 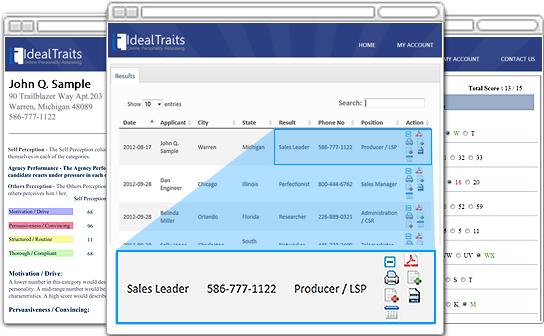 IdealTraits offers simple to use reporting and summaries to identify if you have found a good fit. Measure your candidate’s motivation, drive, persuasiveness, convincing, steadiness, structure, thoroughness, routine, compliance, and problem solving skills. Once you have identified and selected possible candidates, Blitz is used to monitor and automate the follow up and hiring process. 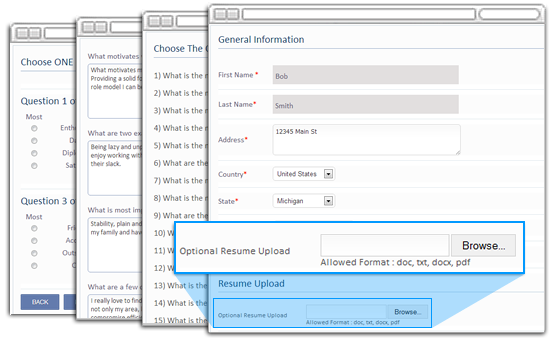 Candidates found from IdealTraits can be entered into Blitz to add notes, send emails, and track where each candidate is at in the process from the first contact, to the interview process, to the final decision. Automated emails and task reminders can be created to make the process simple, and make sure you aren’t letting your ideal new hire fall through the cracks. 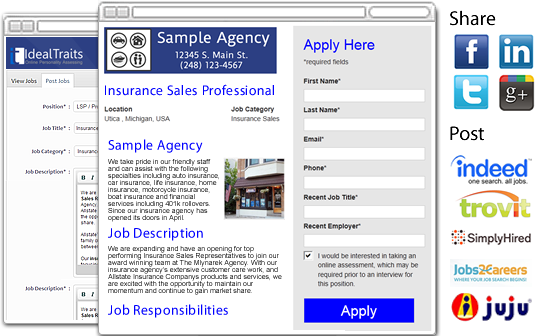 Businesses can attach resumes as well as the results from IdealTraits for easy access. Both companies also offer helpful resources, webinars, and training to help businesses create the ideal custom setup for their needs. Contact IdealTraits at (248)387-2717 to get started today! If you are not currently set up with Blitz Lead Manager, click here to get started for free.